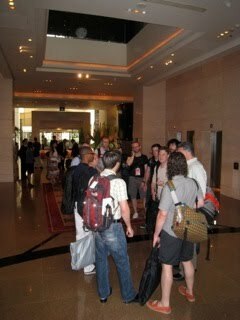 We left the hotel at about 2.30pm to go over to the Shangri-La for rehearsal for the banquet and performance. 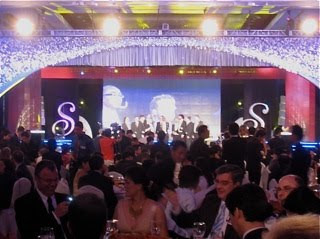 The banquet was to celebrate 30 years of Friendship between San Francisco and Shanghai. The Glide Memorial ensemble, Northern Lights (a children's chorus from Oakland) and two instrumental groups from the San Francisco Conservatory represented our city. There were several pop acts contributed by Shanghai, as well as a charming finale (including Aulde Lang Syne) sung by a large chorus of Chinese children. We were honored to be part of it and thank the Sister City committee for inviting us. 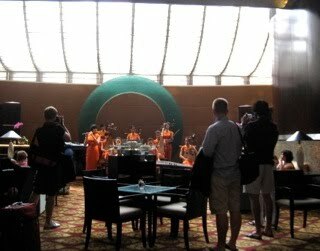 We paused upon leaving our hotel to pay attention to the orchestra which had started playing in the lobby bar - perhaps thinking that in a few hours it would be our turn to perform for people doing other things. 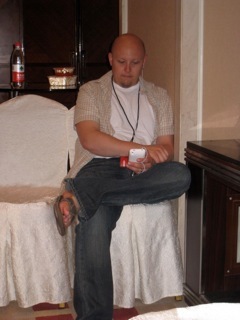 Arriving at the Shangri-La in Pudong we contemplated new information about what the rehearsal and performance schedule would be and took a vote about everyone’s dinner desires... before the show? after the show? Brian is feeling pretty good about having an iPad right about now. 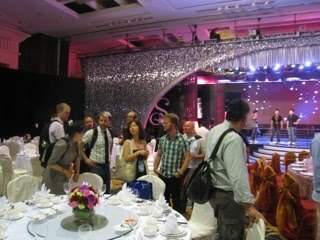 A bit more waiting & we arrived in the banquet hall to see the hi-tech stage. 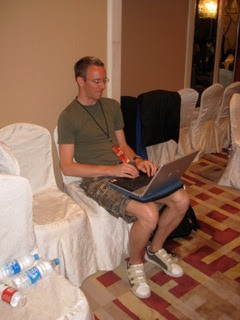 Rehearsal consisted mostly of adjustments in the sound system. We were hoping there would be bubbles - since we saw the bubbles released during our rehearsal, but alas - no bubbles for us. A bit more waiting was followed by dinner. 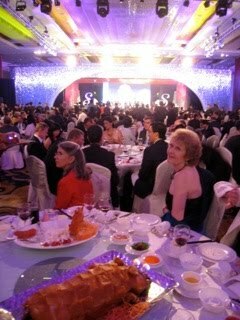 The evening started with a number by a Chinese pop star, followed by quite a lot of speeches and greetings and exchanges of gifts. The Vice Mayor of Shanghai presented Mayor Newsom with a sculpture representing hands holding a magnolia. Mayor Newsom reciprocated with a sculpture of a foot. We came on as dinner was being served. 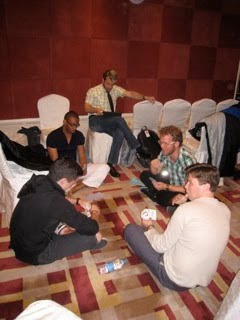 We sent a sort of medley of Summertime and Straight Street out into the room.... and imagine... a few people caught it! Our board member Kathy Henschel and our friend Florence Lidell send out good vibes and give us a standing ovation at the end. 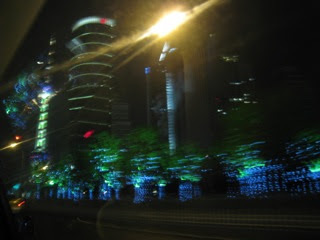 Goodbye to glamorous Shanghai for the moment. 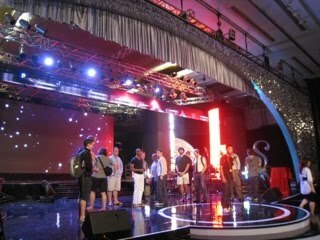 We go to Shenzhen tomorrow - hopefully all will run smoothly since the concert is tomorrow evening.